Apple is working on mixed reality technology, which it's set to incorporate into a new Apple television – according to tech evangelist Robert Scoble. And what's more, it could be released within a year. 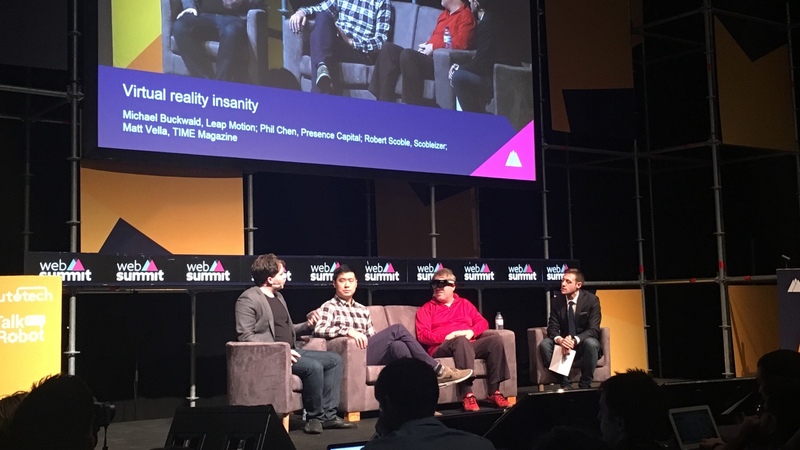 "Tim Cook and Steve Jobs, I believe, sat down and talked about the future of TV and in 11 months they are going to show you the future of TV – because they are building the PrimeSense sensor right into the television, into the iPad and into the iPhone… so you can do this kind of mixed reality," said Scoble, on stage at Web Summit 2016 in Lisbon. "Apple has 600 engineers working on it. There was a patent released this morning – they've been working on mixed reality, or augmented reality, for five years… minimum," he continued. Let's unpack. PrimeSense is the 3D sensing company bought by Apple in 2013, famed for powering the original Microsoft Xbox Kinect. Apple has never utilised or announced its plans for the Israeli tech, but Scoble believes it's all part of the company's vision for AR and VR. The news comes hot off the heels of a patent Apple registered for an VR/AR headset (above), which looks set to bring mixed reality to Apple's line-up. It resembles a heavy pair of glasses, rather than an all encompassing headset, and features a remote control and a built-in camera. We've already written extensively about Apple's plans for an AR headset, gleaned from hints Tim Cook has dropped to investors and high profile interviews. Earlier this year he told ABC News' Good Morning America: "There's virtual reality and there's augmented reality – both of these are incredibly interesting," Cook said on. "But my own view is that augmented reality is the larger of the two, probably by far." But if Scoble's comments are anywhere close to being true, we could see a much wider adoption of mixed reality even sooner than expected. Want our two cents? What Scoble refers to seems too much of a leap for Apple in the near term. A VR/AR headset for iPhone, sure. Some kind of play into mixed reality TV in 11 months. Behave, Scoble.